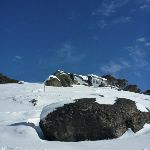 Turn left: From the intersection, this walk leaves the road and heads towards the Rock Creek Ski Club building. 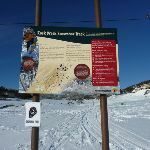 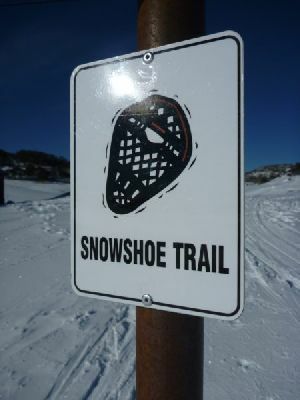 Just before the building, the walk veers right to find the ‘Rock Creek Snowshoe Track’ information sign. 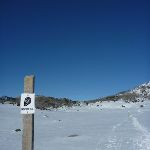 Here the walk follows the snow-pole line with the yellow signs. 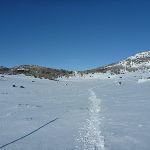 The walk leads over a small rise then down into the valley, keeping the snow-poles and creek to your left. 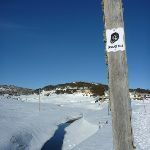 Just past the second pole, the walk passes an intersection with a bridge (on your left) – Here, the walk continues straight ahead, following the ‘Via Porcupine’ sign and the series of snow-poles past a few lodges. 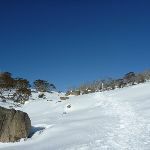 The walk rounds a small point then leads left, gently up the side of the hill to pass a large green timber lodge. 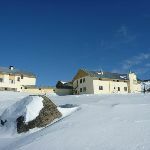 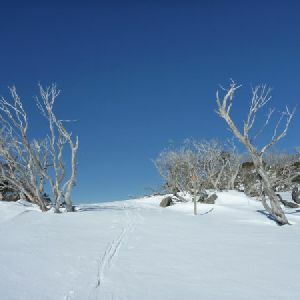 The poles then lead up and over another rise, then gently down to an intersection of snow pole lines – Here, the yellow-signed poles continue ahead (past the stone building in the valley) and the white snowshoe poles head right. 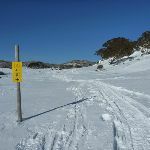 Continue straight: From the intersection, this walk heads downhill following Wheatley Rd, keeping the bulk of the orange snow-poles to your left. 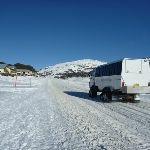 This road is also used by over-snow transport in winter. 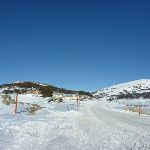 The road soon leads under some power lines then runs parallel to Kosciuszko Rd (which is down to your left) and past a series of lodges for about 600m, to find a large signpost at the intersection with Pipit Pl. 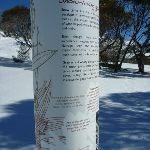 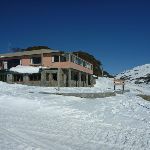 The walk turns left here and heads downhill along the road for about 130m to an intersection with Kosciuszko Road, just in front of ‘Corroboree Restaurant & Bar’. 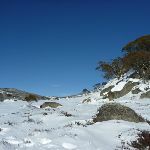 Turn right: From the intersection, this walk follows Kosciuszko Rd gently downhill. 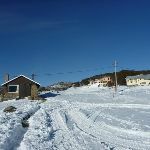 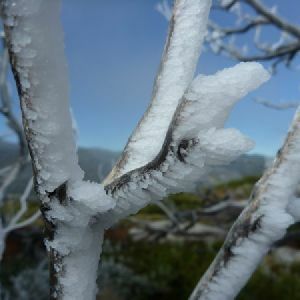 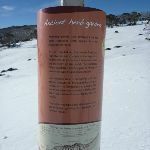 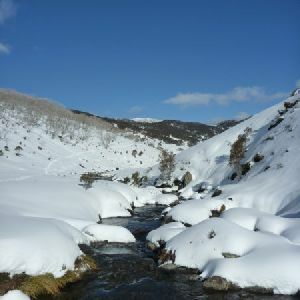 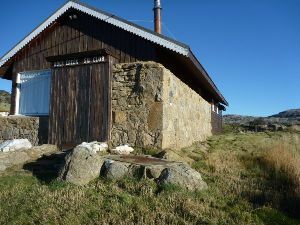 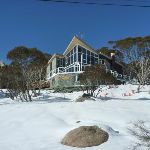 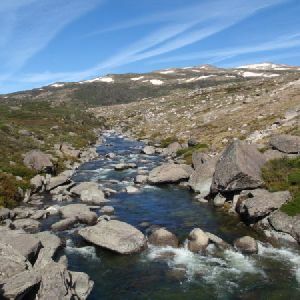 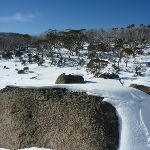 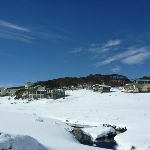 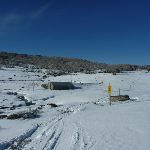 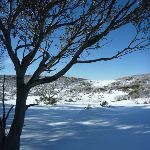 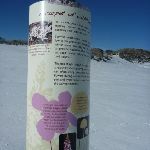 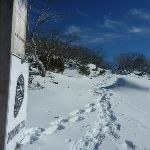 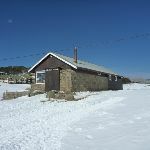 After about 60m, the walk continues along the road, passing a track (which leads to a bridge over Perisher Creek, on your left) and continuing for about another 50m to another intersection in front of Rock Creek Ski Club, the stone building in the clearing on your right. 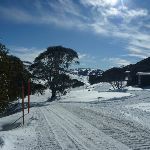 Continue straight: From this intersection near the ‘Rock Creek Ski Club’ hut, this walk follows the main road gently downhill towards the resort centre, where the road soon crosses Rock Creek. 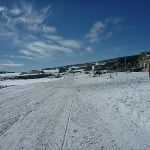 The walk crosses the creek and passes a few buildings to come to an intersection with Porcupine Road (on your right), just before ‘The Man from Snowy River Hotel’ (and the ski tube station on your left). 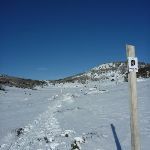 1.2km of this walk is flat with no steps and another 1.1km has short steep hills. 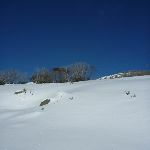 The remaining (700m) has gentle hills with occasional steps. 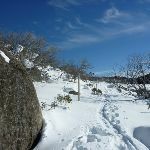 1.2km of this walk follows a smooth and hardened path and another 1.2km follows a formed track, with some branches and other obstacles. 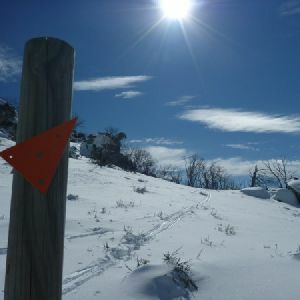 The remaining (580m) follows a clear and well formed track or trail. 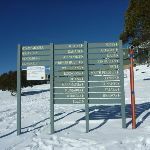 This whole walk, 3km is clearly signposted. 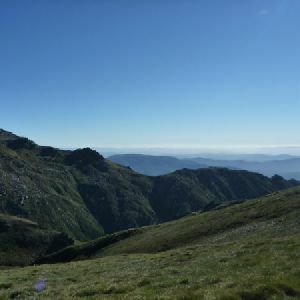 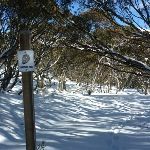 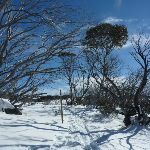 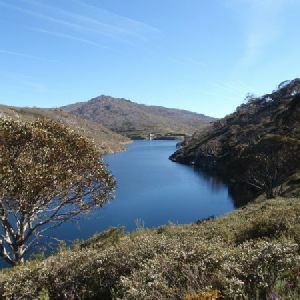 Around 1.8km of this walk requires some bushwalking experience, whilst the remaining 1.2km requires no previous bushwalking experience. 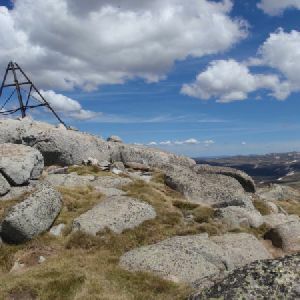 Around 2.1km of this walk is affected by storms that may impact your navigation and safety, whilst the remaining 880m is not usually affected by severe weather events (that would unexpectedly impact safety and navigation). 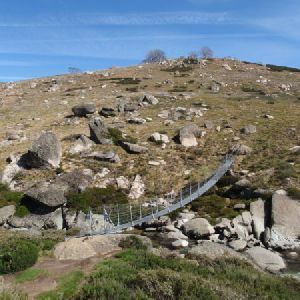 Around 2.4km of this walk is close to useful facilities (such as fenced cliffs and seats), whilst the remaining 580m has limited facilities (such as not all cliffs fenced). 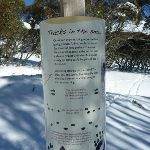 A list of walks that share part of the track with the Rock Creek Snowshoe Trail walk. 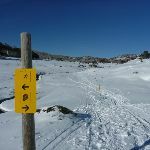 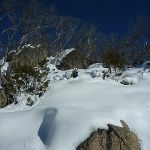 A list of walks that start near the Rock Creek Snowshoe Trail walk. 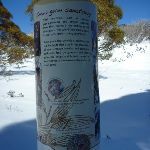 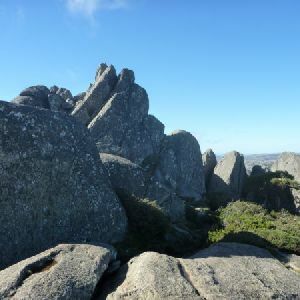 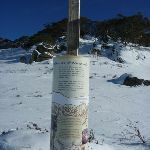 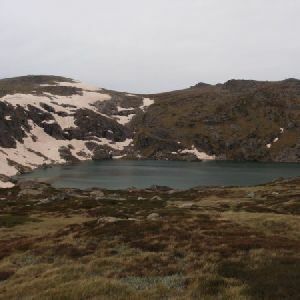 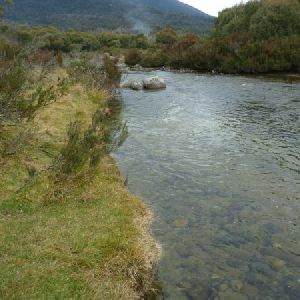 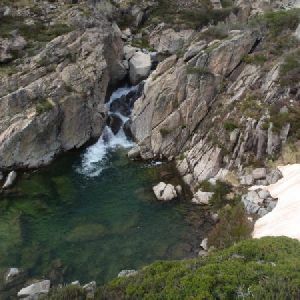 http://new.wildwalks.com/wildwalks_custom/includes/walk_fire_danger.php?walkid=nsw-kosciunp-rcst Each park may have its own fire ban, this rating is only valid for today and is based on information from the RFS Please check the RFS Website for more information.